A fledgling spreads his wings and flies from a skyscraper for the first time. His flight leads him to an amusement park and subway. He gets lost and becomes scared. Will he ever find his way home? 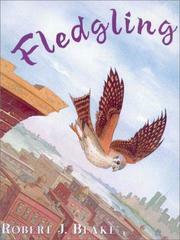 Blake, Robert, “Fledgling,” Children's Picture Book Database at Miami University, accessed April 24, 2019, https://dlp.lib.miamioh.edu/picturebook/items/show/10113.